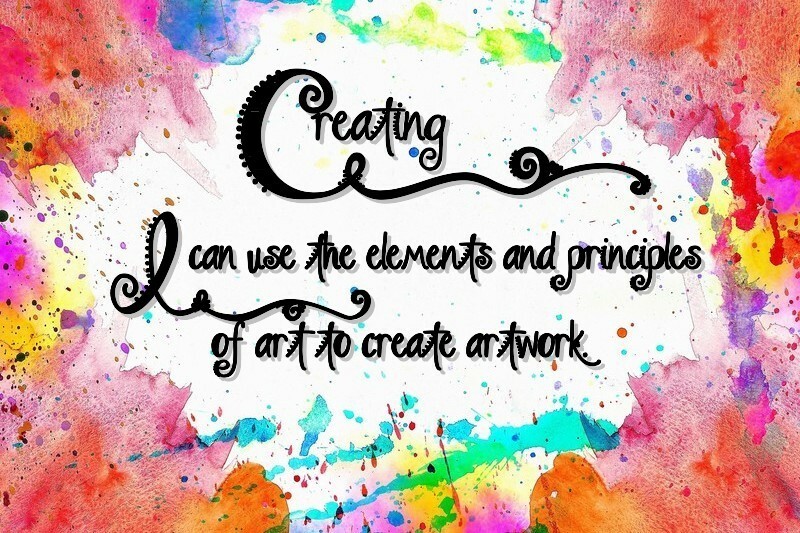 Creating 1: I can use the elements and principles of art to create artwork. 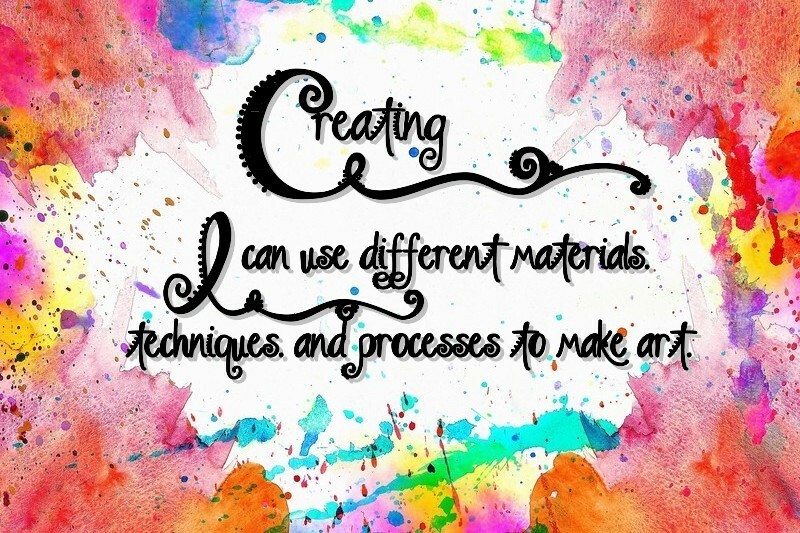 Creating 2: I can use different materials, techniques, and processes to make art. 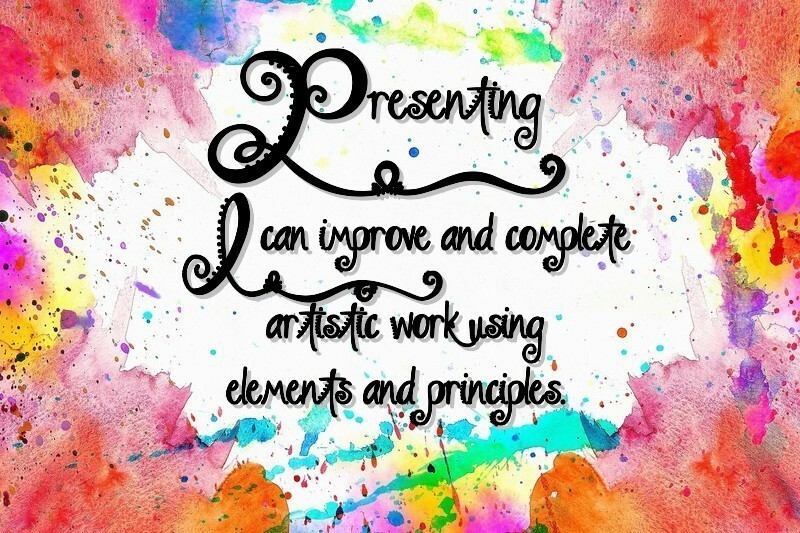 Presenting 3: I can improve and complete artistic work using elements and principles. 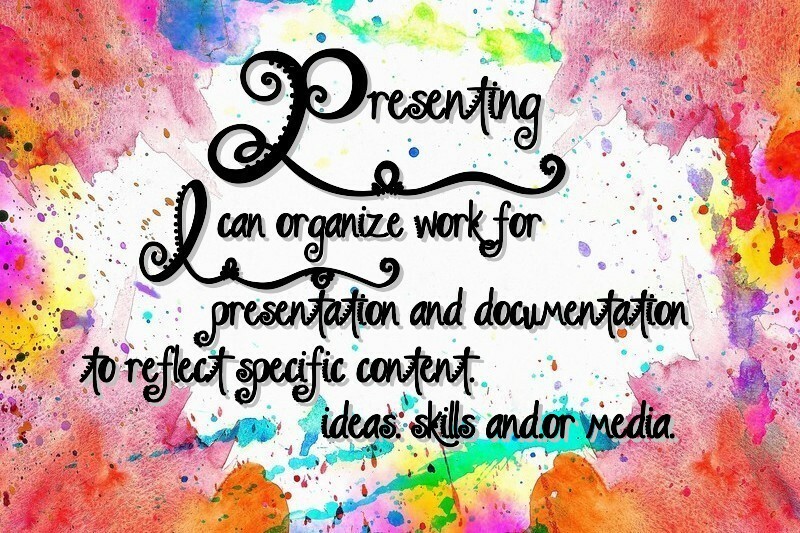 Presenting 4: I can organize work for presentation and documentation to reflect specific content, ideas, skills and/or media. Responding 5: I can interpret and evaluate the meaning of an artwork. Connecting 6: I can identify and examine the role of visual arts through history and world cultures. Connecting 7: I can relate visual arts ideas to other arts disciplines, content areas, and careers.